Spring 2015 Taiko Beginner Class! Interested in playing taiko? Kishin Daiko will be running a class for beginners starting this next Monday! This 8-week course will be open to all ages 7 and up, so pass the word along to your friends and family! Cost: $80 per person for members of the ESGVJCC, and $100 for non-members. We’re also offering a family plan rate! Please email for more information. The first day of spring is practically upon us, which means it’s time for West Covina’s annual Cherry Blossom Festival! 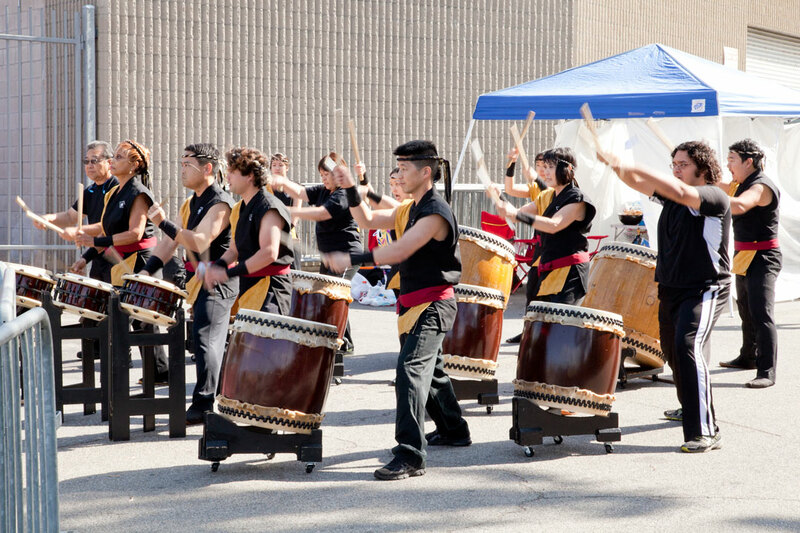 Join us at the South Hills Plaza in West Covina for food, fun and of course, taiko drumming. You can also check out the grand opening of Marukai Market at the same time! For more information, click here.